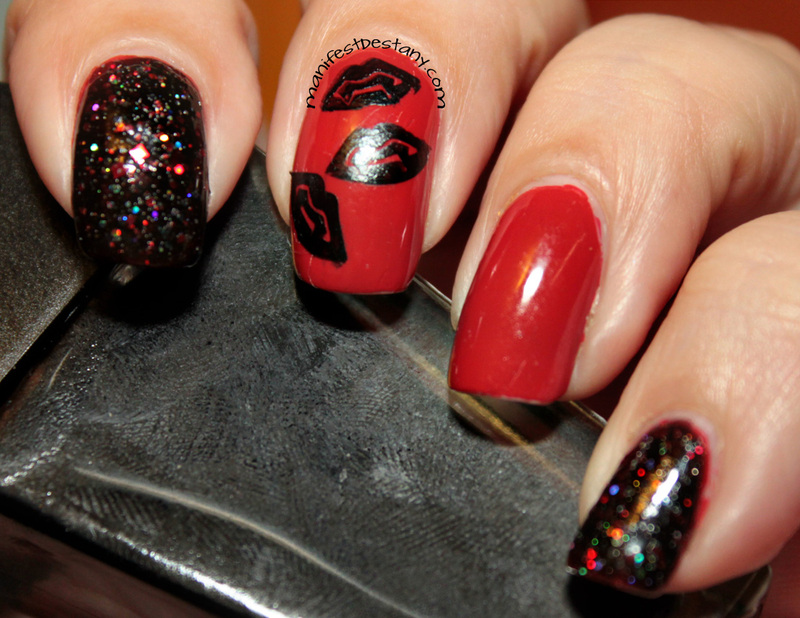 Some Halloween nail art with Obsessive Compulsive Cosmetics, Literary Lacquers and Born Pretty Store stamping plates! Happy Sunday!!! I need to start doing more Halloween nail art! I've done a few ... one of which I'm showing you today! The vampire teeth are my most favorite stamp!! I got it from Born Pretty Store, on this plate. I forsee myself using that just...every day hahah My son really likes the spider and the web. He, of course, has plans for me to do Spider-Man nails :) The red polish is Obsessive Compulsive Cosmetics Psycho. I bought it a while back, along with the matching lip tar. I haven't worked up enough courage to try the lip tar yet! 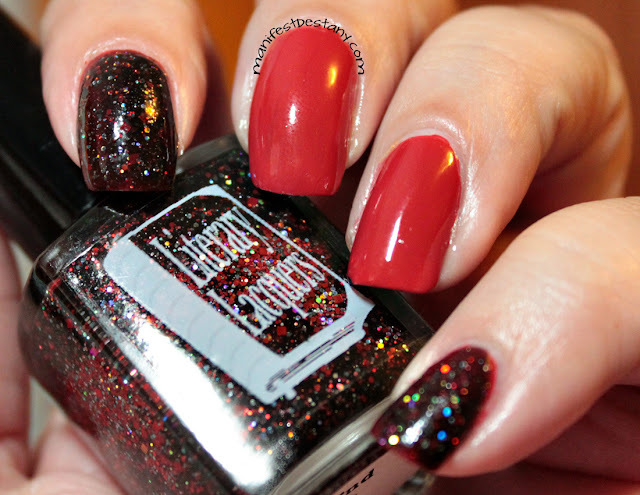 haha The glittery black and red goodness is End It, a polish from Literary Lacquers that was made for my End It movement awareness giveaway!